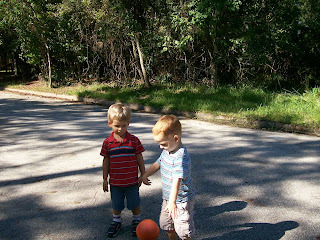 Dawson's friend, Carson, recently came over for a play date. 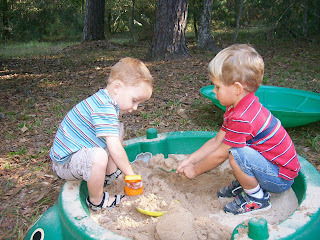 Dawson was looking forward to the day Carson came over and the two of them had a great time playing together. 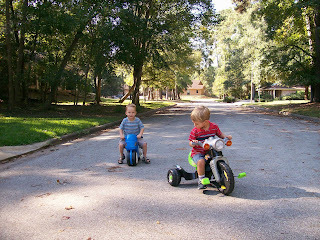 We were in and out of the house several times and they played with just about all of Dawson's toys. Here are just a few pictures of them playing. 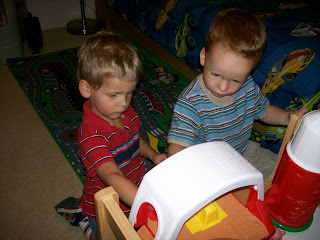 Playing with one of the Little People farmhouses. They did a really good job of sharing all the animals. 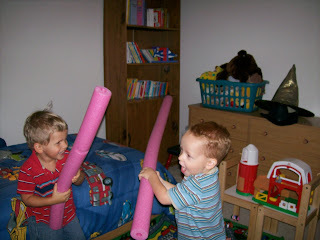 Having a noodle fight and loving it! 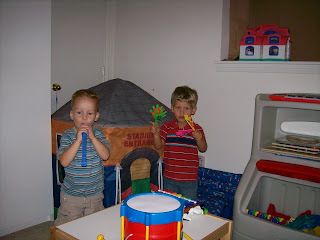 Carson playing the musical instruments and Dawson clapping for him. 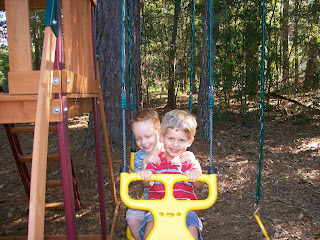 Swinging together on the see-saw swing. Aren't those smiles precious?